Speculative Tokenized Trading Exchange, shortened to SPECTRE, is different from the other ICO’s that claim to be disrupting the financial market. The platform was created by Neuchatel Ltd whose founders, SPECTRE CEO Karan “Kay” Khemani and COO Zisis Skoulouds, explicitly designed the platform to be disruptive and innovative. It’s two innovative features, Tokenized Balance Sheets and Dividends along with an adaptive trade platform, are their most disruptive ones. Both features aim to reduce broker fraud by removing the perpetrator of fraud-the broker-,protecting the trader through algorithms, and promoting transparency within the platform. SPECTRE seeks to disrupt this pattern by removing brokers from the equation entirely. The tokenized and decentralized liquidity pool, governed by smart contracts, takes their place. This pool is owned directly by traders. The liquidity pool, whose foundation is the Ethereum block chain, is initially funded by ICO investors who receive tokens in exchange. Both the SPECTRE management team and these ICO investors receive a percentage of each trade. This creates a system upon which profit is not made purely from trader losses but rather by the sheer volume of trades made upon the platform. These profits, and the trades from which they resulted, are monitored by smart contracts to ensure all trades are fair. SPECTRE additionally uses OANDA price feeds to monitor these trades and encourage transparency. 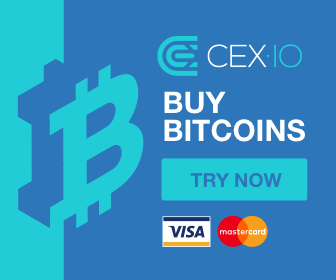 Previous ArticleBitcoin News – Square To Use Bitcoin, CME Group & MoreNext ArticleBitcoin News – Futures Launch Dec 11, Russia Will Not Legalize Bitcoin, Confido Scam & More.